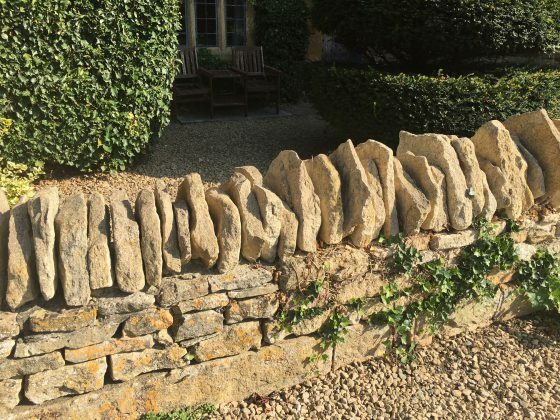 This is a typical Cotswold wall, seen everywhere in this unique district. 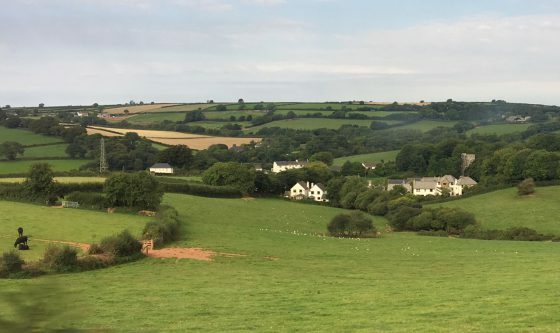 If you ask Jerry what struck him most about England, he will say that it was the lack of high rise, modern buildings and the integrity of the homes, villages, towns and landscapes. The English treasure their history and this is clear in the way they treat their beautiful homes, gardens and villages. It’s still surprisingly common to see thatched roofs, as you will see in my soon-to-be blog about Lower Heyford, the tiny village where we rented a thatched roof house for two weeks. 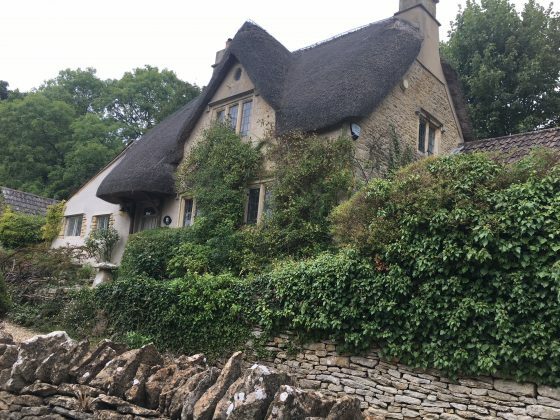 About a third of the houses in Lower Heyford have thatched roofs and we had the opportunity to talk to a man whose business is patching and preserving thatched roofs. 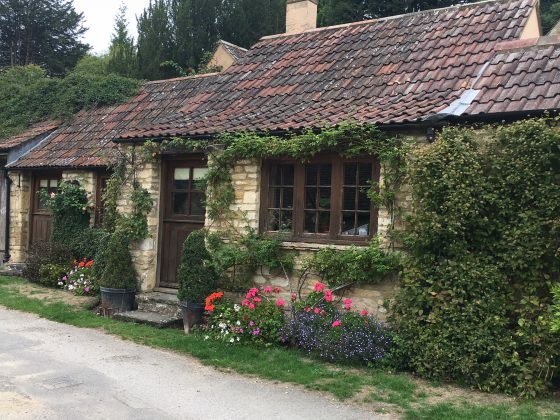 Here are just a few photos of lovely places we visited in the Cotswolds. 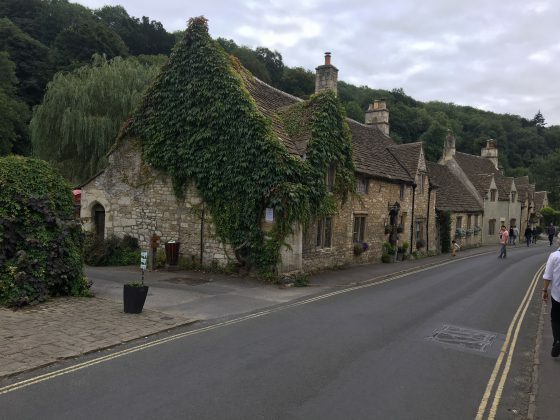 I chose Castle Combe Village because many guidebooks refer to it as “the prettiest village in England,” and Broadway because we spent a couple of memorable days there, in the middle of England’s horse country. 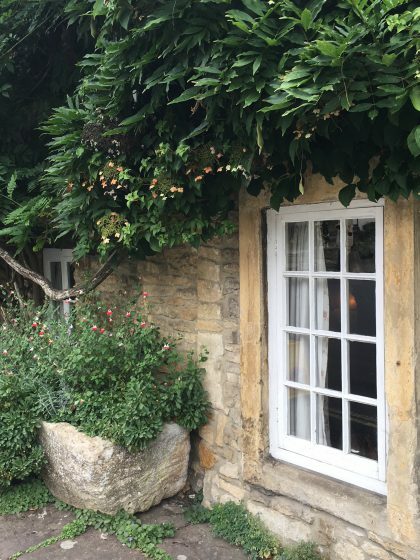 Nearly every cottage in Castle Combe was picture perfect! I love the use of plants and flowers around village homes. Little vignettes like this are what inspire me to paint. Buildings and boats just don’t do it for me. The village of Broadway is in the midst of horse country, and we saw these beautiful equestrians riding back and forth along the main street. I love kinda weird windows. This one, located in Broadway, would be really fun to try to paint. 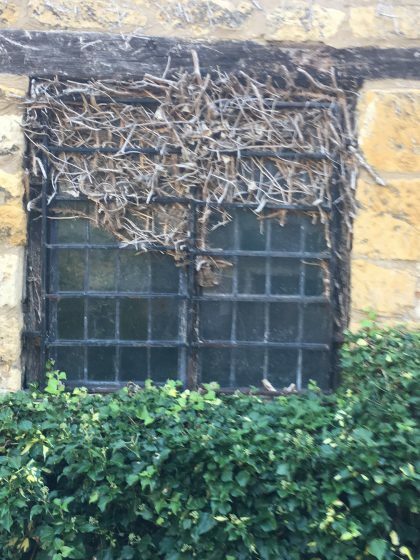 If those window panes could speak…. Tomorrow, Sudeley Castle and Chipping Campden. 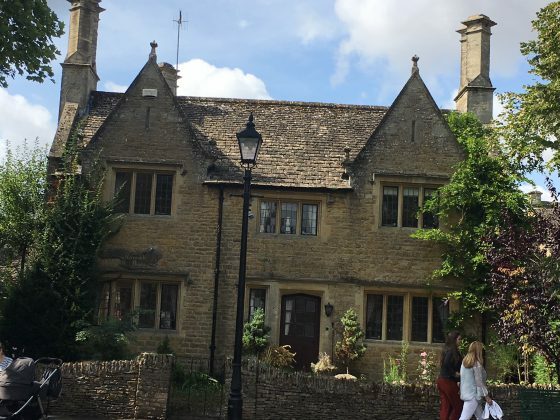 If I had to choose my favorite Cotswold village, I think it would be Chipping Campden because of its involvement in, and support of, the arts and crafts of the region. 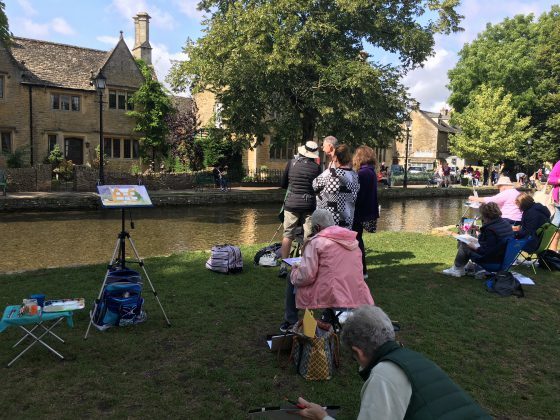 Another day, we went to a lovely Cotswold village called Bourton on the Water, where we sat next to a canal and painted a house wth a traditional Cotswold wall and classic Cotswold architecture and materials. 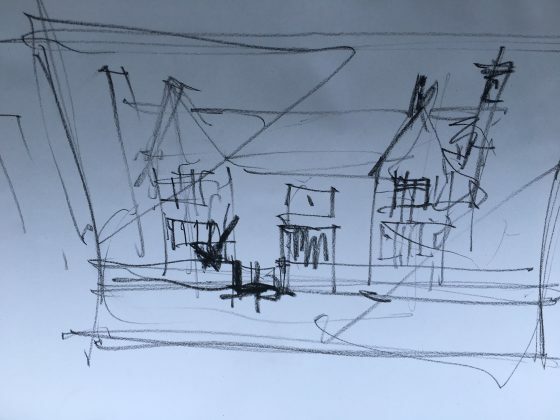 Below is an example of the very rough sketch that John does to help him decide what to put into his painting – and what to keep out of it. Composition plays a critical role in a painting and these sketches can help keep the artist on track. Those two triangles in the upper left and lower right corners were there for a good reason. John teaches that keeping the center of attention in the space between the triangles makes for a more dynamic composition. It’s a lesson in how to focus the painting on a particular area. It’s pretty clear where he plans to make the focal point. Keeping those triangles in mind helps guide the eye. Otherwise, it’s way too easy to lose sight of the original composition. John uses some unusual techniques to soften edges, techniques that Jerry and I haven’t seen other watercolor artists use. They help to add emphasis to the central areas. He often employs gouache or gesso (opaque media, as opposed to the transparent watercolor) over those edges, creating a misty and mysterious feeling. This is a technique I plan to employ in whatever medium I am using. The group gathers around by the water’s edge. Many of John’s students follow him around the world. Last year they were in a workshop in the Australian Outback. They often follow every step in a drawing and painting in order to achieve a similarity to John’s paintings. He is always open to explaining every step and process. 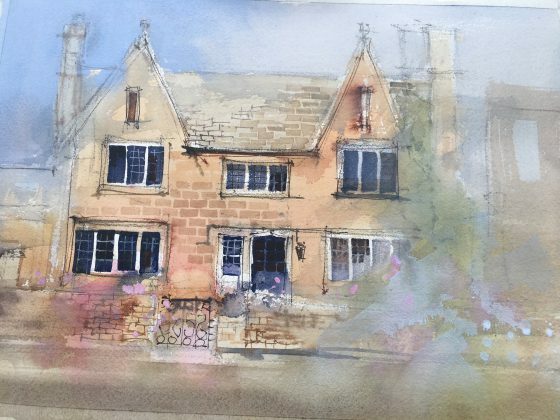 Painting of a Cotswold cottage in Stow on the Wold. A street in Stratford upon Avon. This was also the day we discovered Cotswold cheddar cheese! It is robust and has a wonderful taste and texture. Truly the best cheddar cheese we’ve ever had. We ate many pounds of it throughout our entire stay in England. And so, a few pounds later……. 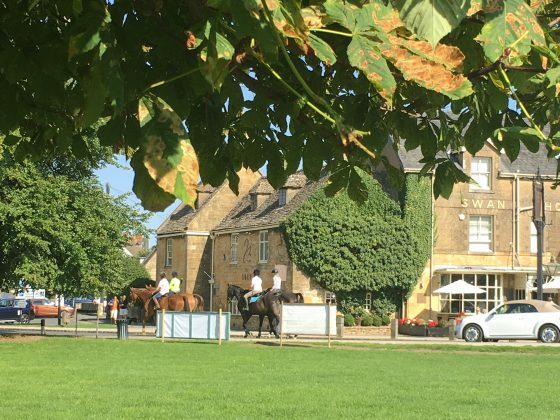 Next up, some photos of the prettiest of all the Cotswold villages. 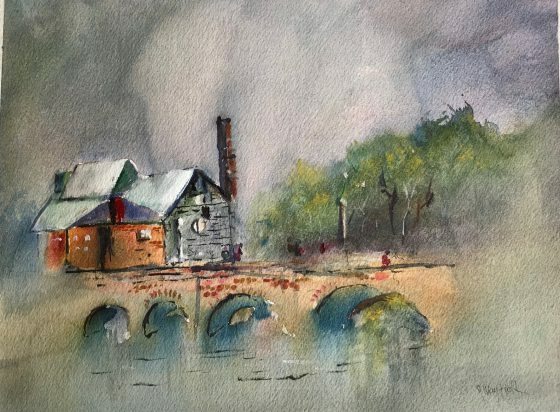 John Lovett,, our watercolor teacher,,sets up to paint a bridge over the River Avon. Our first two weeks in England were actually fairly intense. 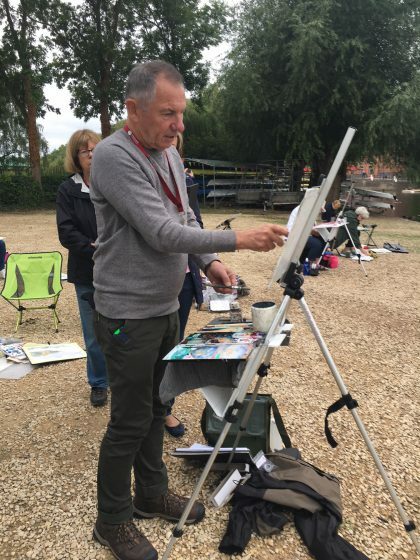 Each day we were taken by bus to a beautiful location where twenty artists from all over the world set up to paint en plein air (outdoors). Amazingly, the weather was beautiful every day – something of a miracle in England! 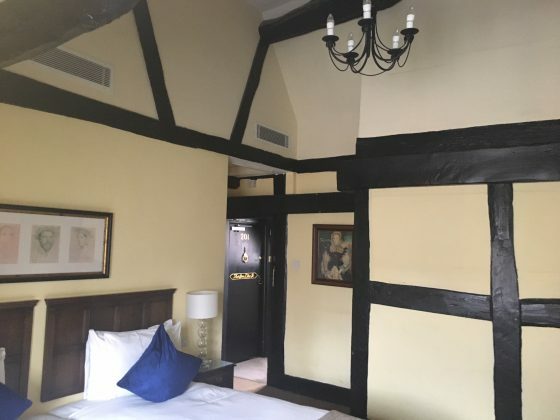 Our Tudor style room with beautiful beams and fun attic ceilings. 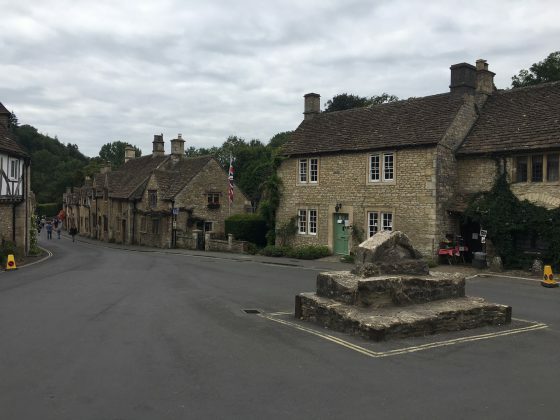 Our first week was in the Cotswolds, an area renowned for its beautiful rolling hills and quintessential English villages. We stayed in the town of Stratford upon Avon, known as the birthplace of Shakespeare. Our room was called “Two Gentlemen of Verona” and it was absolutely charming and comfortable. 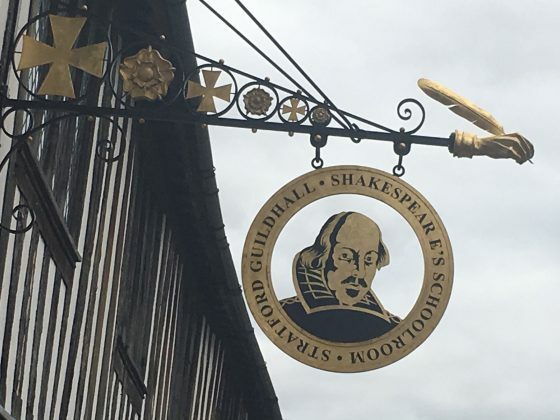 Our walking tour revealed a lot about Shakespeare and his surroundings. Our days here involved lots of walking, from early morning walks to see the mist rise over the river, to sunset walks around the park and to various pubs and restaurants for dinner. The first day of painting we were in the park, looking at a bridge across the River Avon. Each day began with John doing a brief sketch of the structure of his painting, as well as a running dialog on why he chose that particular composition. This was followed by his recommendations for colors to mix on our palettes to help create the scene, as well as descriptions of what techniques and brushes he was using. Please remember that I am a fiber artist now, and seldom use paint, much less the very challenging medium of watercolor. I am also an abstract artist, while John is there to capture the scene as he sees it. And he loves to paint buildings, boats and bridges, none of which I have ever painted before. So I was a bit traumatized the first few days. To be honest, I didn’t even try to paint this scene. I just played with the mixing of paints and splashing them on the paper to get familiar with the materials. He was kind and understanding. Whew! 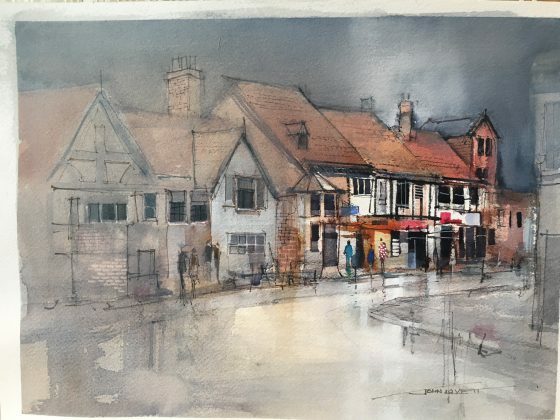 John Lovett’s final painting of the bridge and beyond. Jerry is an accomplished watercolorist and he has allowed me to show you some of his efforts. Here is his painting of the bridge. Love it! Please return to this blog for more of our painting locations and experiences, as well as scenic photos of exquisite locations. Those are bubbles. Really, really big bubbles. 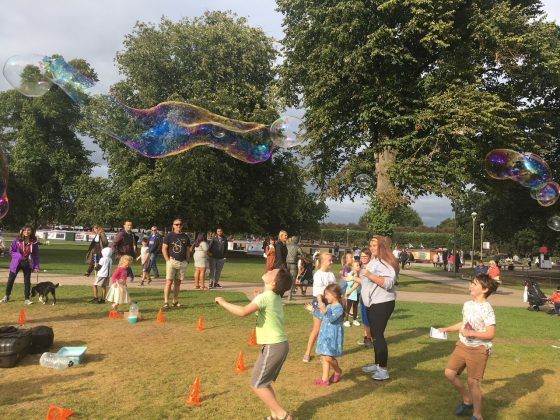 We first saw these bubbles in the park at Stratford upon Avon. 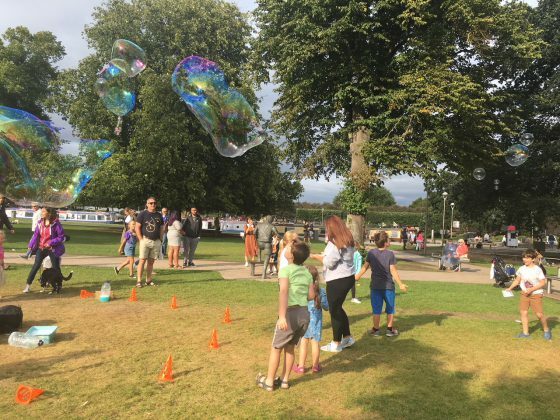 It was a bank holiday and the kids were celebrating the end of summer with a day in the park. They were completely enthralled with these bubbles. So were we! 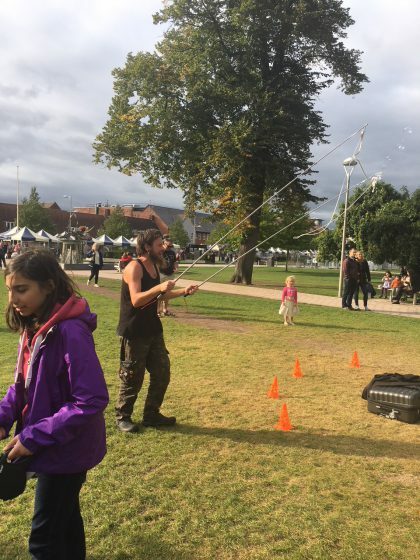 The bubbles are made with simple materials: skinny poles, string and some soapy stuff that makes this magic, at the hands of a charismatic Scot named McLeod. McLeod the bubble man, making his magic. I thought this might be a boon to Hawaii’s homeless problem. If people want to live in the parks, let them make people happy in the parks by creating big bubbles that turn everyone giddy with laughter. We asked McLeod if he might consider bringing his art to Hawaii, but, alas, he said the bubble solution he uses could not work in our warm weather. But hey, maybe someone can create a solution that would work in Hawaii? We saw another Bubble Man in London, under the London Eye, that big ferris wheel that dominates the landscape near the Thames. 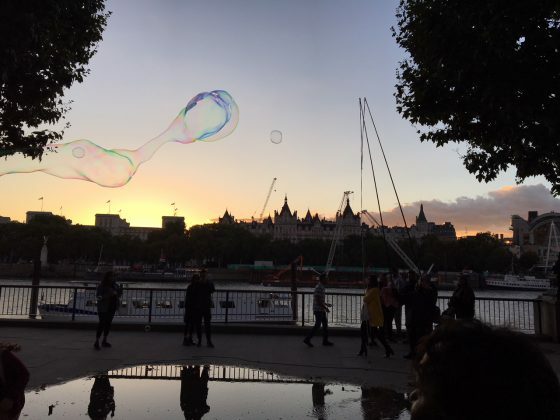 Bubbles along the Thames at sunset. Have you seen bubbles like these being made in other locales? There. That sets the mood. 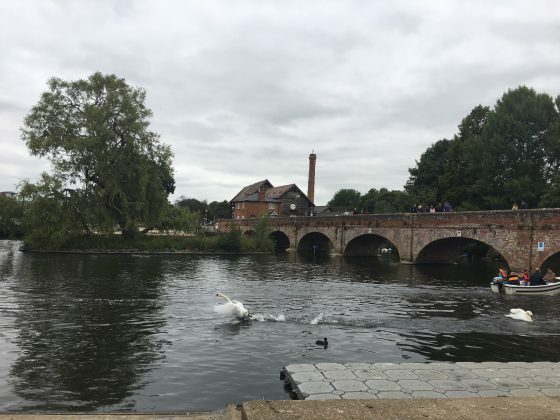 And I hope it gives you a little pause to breathe and put yourself in that calm, serene place, on the River Avon in Stratford Upon Avon. Now that you have had a little moment, I hope you will find it in your heart to forgive me. 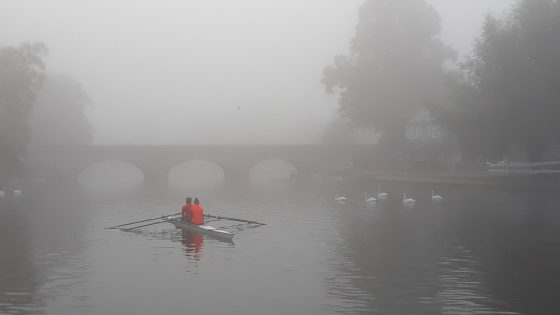 I promised you blogs from our five-week trip to England…and then I disappeared. Tech is not my strong point (to say the least), so it may have been my fault. But I simply could not blog from anywhere in England. I really don’t understand why. However I did take photos and write journals and now I can report to you on a truly wonderful trip. First, let me say that this trip was sort of like three trips in one. Each segment was quite different in mode and mood. 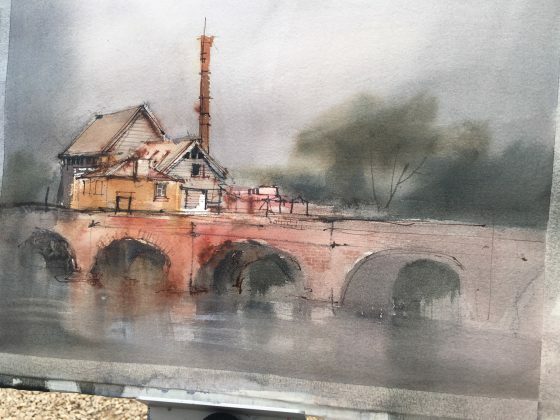 John Lovett, watercolorist extraordinaire, sets up to paint a bridge over the River Avon. 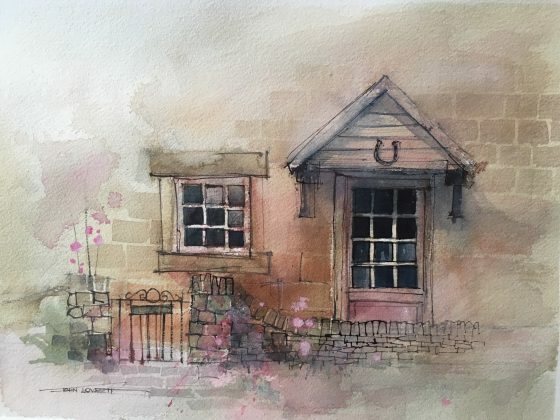 First, we spent two weeks in a watercolor workshop with John Lovett, a teacher from Brisbane, Australia whom Jerry has admired and followed for years. There were 20 artists in the group, from Australia, New Zealand, Czech Republic, England, Washington, DC, Pennsylvania and California. Most were very accomplished and some are professional artists and art teachers. And then there was me. Yikes! Coopers Cottage, our home for two lovely weeks. Sorry about the garbage bin! 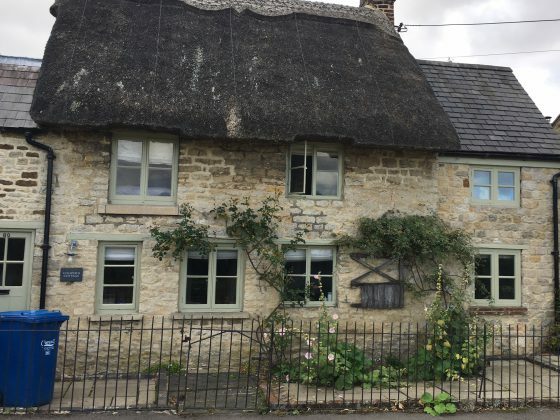 Second, for two weeks, Jerry and I rented a little thatched cottage in the tiny village of Lower Heyford, in Oxfordshire. Quiet, quaint and totally relaxing. We walked along the nearby canal and watched the longboats slowly making their way through the locks and bridges of the River Cherwell. 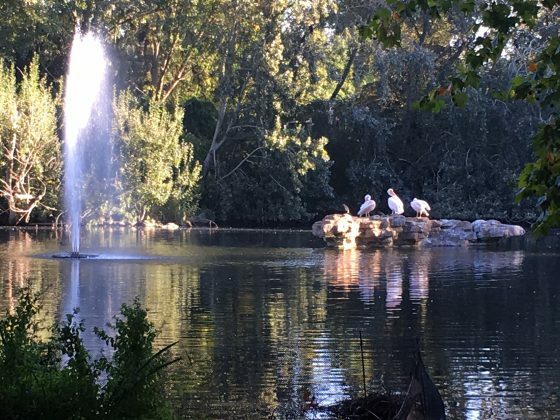 We stayed in a club just around the corner from my favorite park, St. James’s, which is teeming with wildlife. Third, we spent a glorious week in London, my favorite city in the world. Jerry had never been to London, so it was great to share it with him. So please visit paularath.com often to learn more about a trip that was educational, entertaining and truly enlightening for Jerry and me.